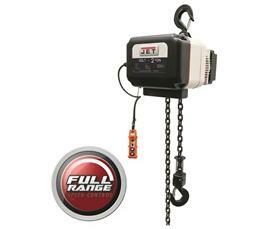 JET® Volt True Variable-Speed Electric Chain Hoists | Shelving, Inc.
Full Range Speed Control at your fingertips. Adjust the lifting speed from the maximum speed or slow it down to a creep based on the application. Overload protection increases safety and Thermal Overload protection for the motor increases durability. 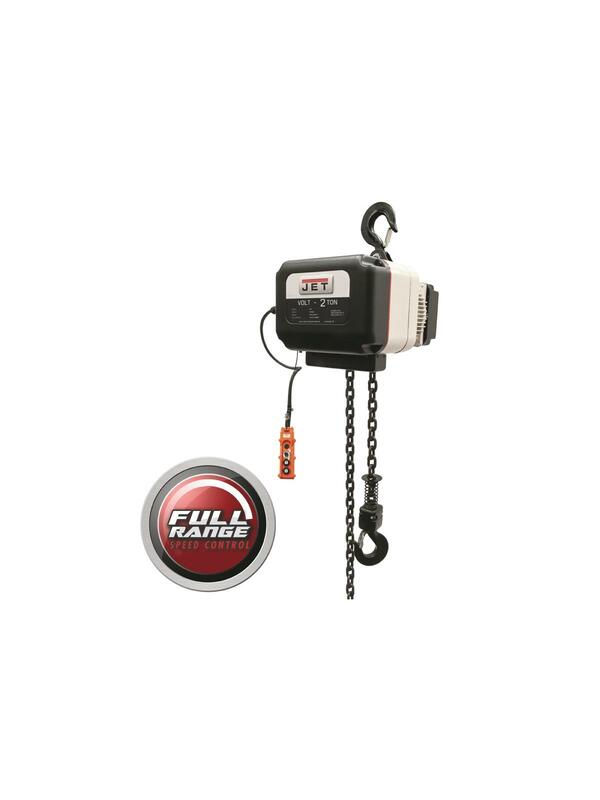 Chain container and 2-button pendant control included. Available in two motor configurations: 1/3 Phase, 230V or 3 Phase, 460V. FOB Shipping Point. See Related Items tab for Jet® Electric Trolleys and JET® Volt 4-Button Pendant.